"Music that hesitates and insists at the same time - with myriads of small details"
I. Allegretto 4:04 6,40 kr. II. Calmo con delicatezza 5:07 9,60 kr. III. Scherzando 3:07 6,40 kr. IV. Andante 5:35 9,60 kr. V. Fluente 1:10 6,40 kr. VI. Molto espressivo con disperazione 1:19 6,40 kr. Fantasia Appassionata 13:15 12,80 kr. II. Scherzando 4:05 6,40 kr. III. Andante 5:26 9,60 kr. IV. Fluente 1:11 6,40 kr. V. Fluente 1:32 6,40 kr. IV. Calmo con delicatezza 5:03 9,60 kr. VII. Allegretto 4:07 6,40 kr. Claude Debussy once said that ‘music is a dream from which one draws back the veils.’ New Nordic music, known for its tautness and rationality, comes closest to that sentiment in the works of Bent Sørensen – a composer who quickly discovered an original, distinctive voice during a period of extreme flux and transition. Sørensen has drawn back the veils only to see, as Debussy did before him, that the most important questions of life and love have no concrete answers; that the best an artist can do is pose the questions themselves as eloquently as possible. Sørensen’s music can feel like the product of a dream, at once vague and precise, present and intangible. It frequently displays a dreamlike tendency to magnify tiny details while blurring the lines between the actual and the imagined. Narrative specifics often dissolve in Sørensen’s works, undermined by the composer’s hesitant grip on cherished intervals and shapely melodies. Those melodies might be obscured by harmonic smoke or suffocated by silence. 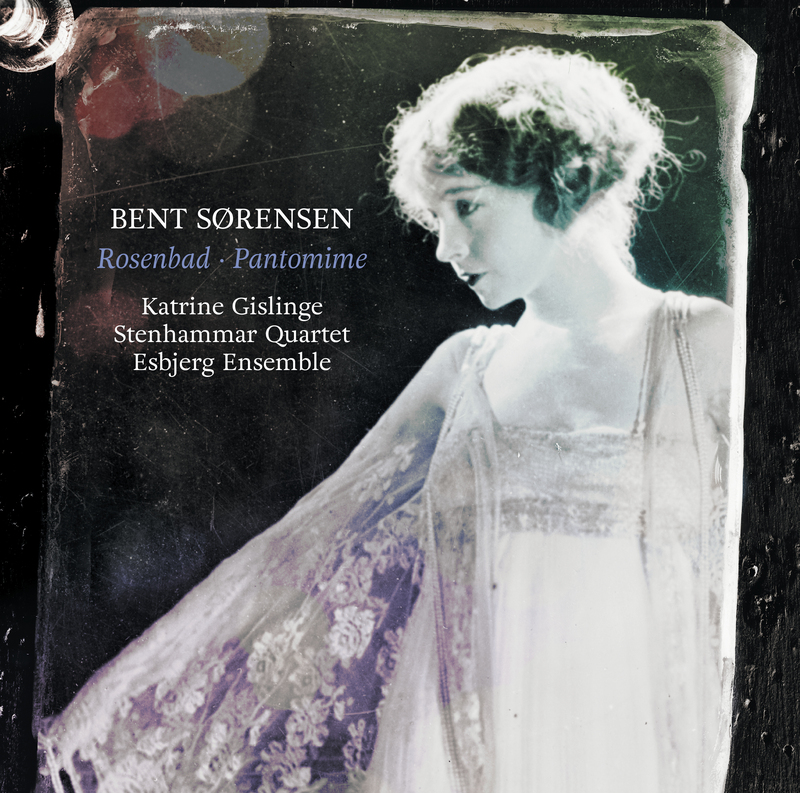 But at the same time, they have maintained and even strengthened their place at the heart of Sørensen’s tonally free, texturally sensuous music. Sometimes, they are most deeply felt when they’re not technically present at all. For a time, a sense of crumbling fragility, melodic and otherwise, saw Sørensen’s music aligned with processes of decay and decline – a musical counterpart to evocative photographs of abandoned ballrooms and crumbling palaces. In more recent works, we might detect the slightest sense of renewal and optimism emerging from the wreckage, as if the composer is inclined to glance more frequently in a different, upward direction despite the continuing distillation of his established style. Those notions of decline were prompted by melodic patterns that consistently tracked downwards and by music littered with downward glissandos – the sighs of mortality or tiredness. In works from the middle of the second decade of the twentyfirst century, we more frequently hear those little glissandos pointing upwards, and encounter melodic shapes that speak somehow of dawn as well as dusk, irrespective of context. Instead of sinking inexorably into the depths, Sørensen’s music, more and more, is finding clues to a different exit – maybe, even, to new life. The story is transfigured not only by the contrasting antics of the three ensembles, but also by the differing energy fields with which those ensembles surround the pivotal piano. Thus the trilogy can be viewed as a sort of puzzle; not just an exploration of how different instruments or instrumental groups might persuade, coax, lure or influence one another but also a test of which configuration might best liberate or constrain the material – material which can just as often feel lodged still or freely flowing, run-aground or airborne. But there is an extra layer to this puzzle, which is the mystery of provenance. When comparing Pantomime, Rosenbad and Mignon, it becomes impossible to say, in each piece, what came from where. We might hear a familiarly shaped Sørensen melody, like the four-note theme offered-up by the oboe in the ‘Andante’ movement of Pantomime – a theme that becomes pervasive. But we can’t know for sure whether the oboe initiated that gesture, for the simple reason that the same four-note shape is referenced elsewhere in Mignon and Rosenbad. In each work, we’re made to feel acutely aware of different music happening elsewhere, in another place. In the opening movement of Pantomime, the piano tries to give voice to an elegant, almost bluesy motif that eventually expands into a crystalline solo. Only by luring the other instruments into its domain via lapping waves of semiquavers can the soloist come near to harnessing the ensemble. Similarly, the ‘Scherzando’ that follows wants to establish a freewheeling moto perpetuo, which soon dies out. This time, it’s the piano that becomes embroiled in the nervous energy of the strings, only to sink into a depression. In the ‘Andante’, the heart of the piece, a touching but naïve union emerges between the piano and winds, founded on that echt-Sørensen oboe motif. It is spooked by percussion instruments, some in the hands of the string players; the piano shakes the winds off but bells warn it not to continue alone. But in the ensuing ‘Calmo con delicatezza’, the piano is alone – lost in its own world, trying to cling to a recognizable melody on the right hand side of the keyboard but helpless as it is dragged despairingly downwards towards the left. When we arrive at ‘Fluente’, the piano has disappeared entirely; a viola and cello pick up on a lullaby suggested by the bassoon at the end of the ‘Andante’, before the oboe strides into what appears to be a grand lyrical statement that’s over almost as soon as it started. Or is it? The oboe is reborn on the same ‘D’ it had just abandoned in the second ‘Calmo con delicatezza’, becoming entwined with the bassoon and a ghostly musical saw as a prelude to the piano’s momentary recollection of its own opening material. That material soon takes root, encouraged by tremolo strings and a marimba. The cyclic piano patterns of the final ‘Allegretto’, with frenzied percussion, suggest greater security. But the melodies themselves are just as vulnerable, like lonely individuals in bustling room. Again, the piano is prone to dark thoughts, in this case a stalking, chromatic bass line. Across all seven movements of Pantomime, we are left feeling that these often dysfunctional, reclusive instruments have glimpsed interdependence, perhaps even love, and come tantalizingly close to embracing it. Rosenbad opens with the ‘Allegretto’ movement that ends Pantomime, and immediately the alternative scoring throws a different light on this half-familiar story. The piano, at the heart of a focused and compliant ‘Classical’ ensemble, is dominant. The strings can only hang off it, before falling by the wayside, staggering into silence. But it’s the quartet that coaxes the piano back into the discourse in the following ‘Calmo con delicatezza’ via buzzing, fluttering tremolandos. They reference the equivalent movement in Pantomime but here they prepare the way for the return of the piano’s elegant motif, like brushes smoothening the ice for a curling stone. While the ‘Scherzando’ movement was besieged by problems in Pantomime, in Rosenbad the millwheel appears to turn largely uninhibited, grinding its way through familiar melodic shapes. When the piano experiences its crisis of confidence, the strings have only empathy. They help it back to its feet, before placing haloes over the piano’s calligraphic outpourings in the ‘Andante’ and posing a direct reflection of its material as if in homage. In ‘Fluente’ the piano reprises its solo labeled ‘Calmo con delicatezza’ from Pantomime, but the material feels emboldened. Now, the piano can confidently excuse itself and doesn’t sound at all in the ‘Molto espressivo con disperazione’, which ends with the same niggling, repeated note gesture that opens the final movement and initially infects it. This music appears to be negotiating its way down from a position of precarious anxiety, ledge by ledge. After an upward surge, the strings find a foothold on a major third. The piano, too, manages to land its perennially floating material safely and step away; the strings switch to woodblocks, with the exception of the one first violin, which sings a final, veiled farewell. All three works in the Papillons series were dedicated to Sørensen’s wife, the pianist Katrine Gislinge. In the summer of 2017, Sørensen was commissioned by the festival Summer Concerts on Langeland to write a piano piece, marking the festival’s fortieth year. He duly delivered Fantasia Appassionata for solo piano, also dedicated to Gislinge and officially premiered by her at Stoense Church, on the island of Langeland, on 12 August 2017. At that same concert, Gislinge played Beethoven’s Piano Sonata No. 23, Appassionata, and Brahms’s Seven Fantasies, Op 116. Sørensen’s score, which falls into seven sections reflecting the alternating ‘capriccios’ and ‘intermezzos’ of Brahms’s Fantasies, contains multiple references to both pieces, overtly and secretively. It is scattered with melodic shapes that feel somehow familiar. The splintered Allegro appassionato opening to Sørensen’s first ‘Capriccio’ pulls itself together by means of declaimed dotted rhythms and a downward triad, both of which are heard in the first pages of Beethoven’s sonata. Sørensen’s Brahms-like process of thematic searching culminates in a fugue marked Allegro ma non troppo. The fugue’s subject, a sort of chromatic lullaby in the form of an arch (archetype Sørensen), survives significant turbulence including gatecrashing Beethovenian chords, before returning once more at the same tempo. But here, the fugue subject has been inverted and its most notably feature, a rising diminished seventh, now drops downwards rather than climbing upwards. As the piece takes its leave, we hear a reminiscence of that interval again: not only does it ascend once more, it has been tightened by one semitone into a consonant, contented augmented fifth. Andrew Mellor is a journalist and critic with a particular interest in the culture and music of Denmark and the Nordic countries.